Lady Blaze on stilts marching in the Bridgeport pride parade. Over 18 years of experience Lady Blaze is who you want to bring your event to the next level. An insured & licensed Professional hula hooper, stilt walker, fire performer, roller skater (fire: hoop, fans, poi, gyrodoop, levi wand, orb, parasol, fingers, sword, rope dart, fire eating, fire breathing, cinder stick, and the worlds only fire roller skates, triads, palm torches) , led performer (Led: hoop, fans, poi, levi wand, Isis wings), birthday party entertainer, interactive play, team building, or create your own. Performances suitable for Any size audiences of all ages. With costumes to match any theme. We can choose a package that suits all events! Travel fees on individual basis. I am the organizer for one of the biggest food events in New England and beyond. I also travel all over the country as a competitive cook. To say that I am pleased and impressed with LBSpinnerZ Artz would be an understatement. Her shows make my jaw drop with amazement. She and her crew are true professionals and take every precaution and ensure that everyone has a great time. She's as beautiful as she is talented. Her smile is as bright as her fire acts. Watching her shows over the years, I've seen first hand how she has honed her skills. IF you need a fire performer...why would you look else where? You will not be dissapointed ! I have seen her perform many times locally this past year and she is on top of her field ! Highly skilled ! Costumes are fresh and many , Never disappoints a crowd , well known and loved !! Routines are fresh and always updated . Her personality: Bubbly , charismatic , professional, humorous, , beautiful of course , Great with kids as well as with adults , highly skilled , Exceeds expectations whether at private or corporate events , I highly recommend LB , you will Not be disappointed ! 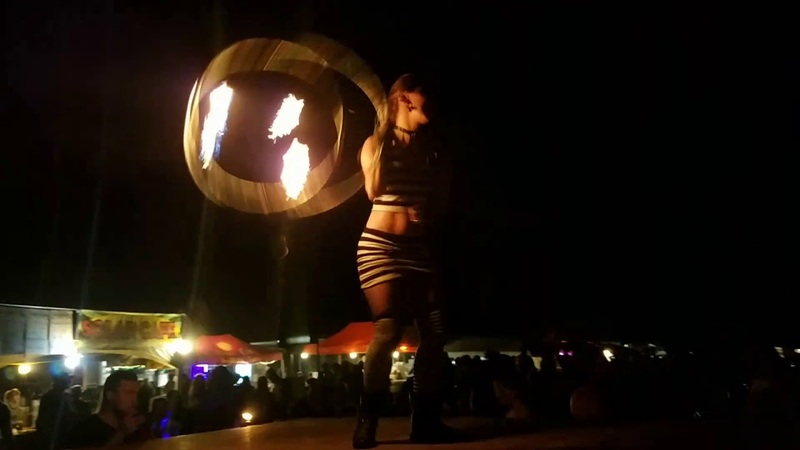 I met Lady Blaze at Burning Man and saw her perform some of her various talents, including fire hooping, hula hooping on roller skates, fire fans, and teaching others how others how to hula hoop. She is very approachable, warm, engaging, extremely friendly, and full of enthusiasm for the performance art she does. She exudes confidence and joy in her performances and constructs fantastic, aesthetically pleasing costumes for any theme. I cannot recommend her highly enough for events where you want someone who truly loves what they do and can bring a new level of excitement. An insured and licensed dazzling spectacle of lights and talent. High energy hooping for indoors or outdoors with sparkle or Led hoops. 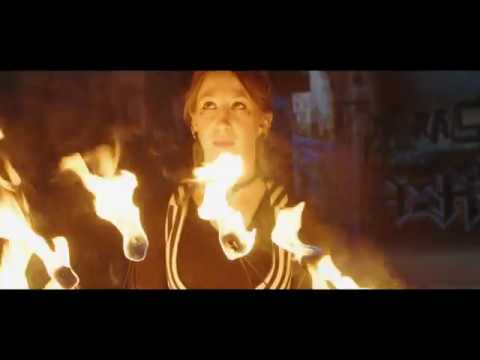 Fire performance with fire hooping, fire fans, fire poi, fire eating, gyrodoop, leviwand, fire parasol, fire fingers, fire orb, fire rope dart, fire triads, fire palm torches, charcoal, the world’s only fire roller skates, fire Sabre, and fire breathing. For stilts a burst of color and excitement for the entire family at 8' tall. Interactive play will keep your guests entertained and smiling. Lady Blaze also known as LB aka Lauren Beth Stein aka LBSpinnerZ ArtZ. Has been performing since she was a child going all the way back to her parents living room. LB started Hula Hooping at the age of 16 because it enlightened her soul, she quickly fell in love with it and never stopped. LB has been performing all of over the east coast with hoops as well as teaching hoops now for over 2 decades. Her skill set includes: Hooping including LED hoops and fire hoops. 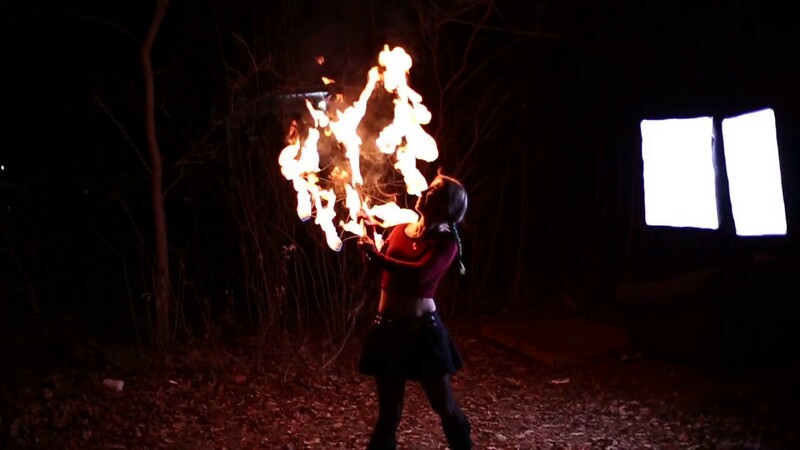 Other fire tools include poi, fans, gyrodoop, leviwand, long string orb, fire fingers, fire parasol, fire sword, rope dart, charcoal, triads, palm torches, the world’s only fire roller skates, and fire breathing and fire eating. LB is also an expert stilt walker standing at a whopping 8’. She is an expert roller skater adding extra excitement to any event. This is Entertainment to set your senses ablaze! LB holds three college degrees: Associates in Early Childhood Education, Bachelors in Psychology with a Concentration in Mental Health, Masters in Recreation and Leisure Studies Management Administration. www.lbspinnerz.com will give examples of what you might see. More room is always better, but gigs have been performed on stages as small as 5'x6' for LED hooping. 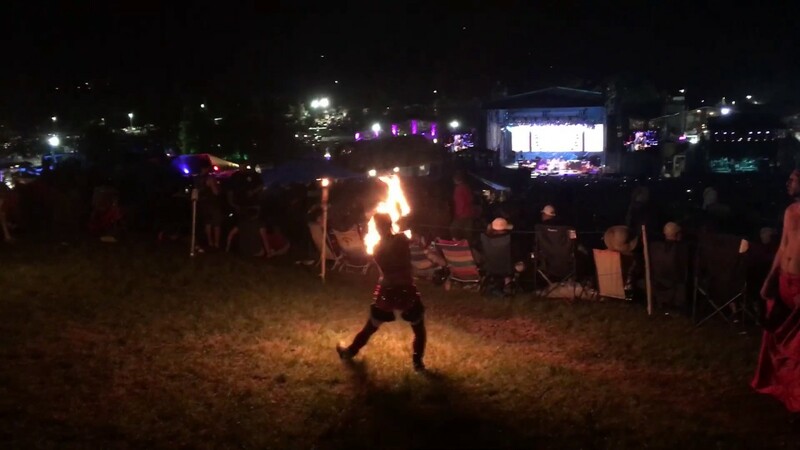 Fire gigs are most preferable outside or in large well ventilated areas, but well ventilated indoor areas are suitable for fire performances as well. A safety will always be in attendance at all fire gigs. A place to have a fuel dump away from crowd and stage will also be needed. For stilts a ceiling or space taller than 9' is required with a door to get through or place to get on stilts nearby but out of the way as to not ruin any illusions. For group hoop activities the more room the more hoops that can be spinning at the same time. Roller skating performances require a flat smooth surface. -group bonding/team building to unite everyone. -interactive dancing. Learn all the latest line dances. 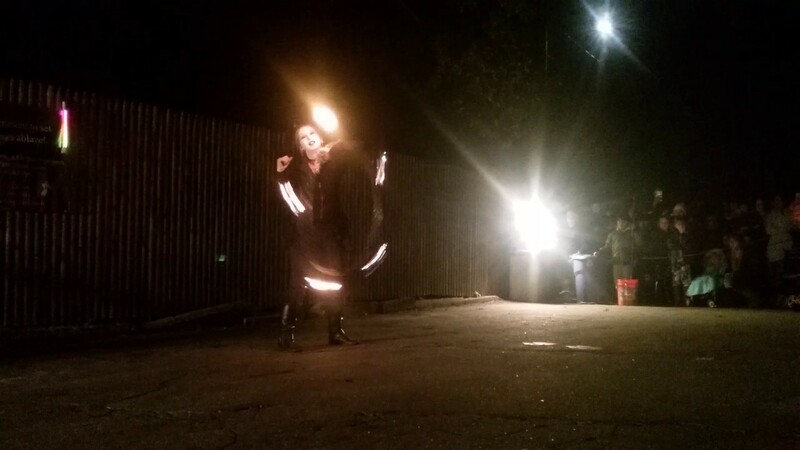 I started hooping back in 1997 and started doing fire in 2001. Since then the art has grown and I with it. I go to special retreats throughout the year to meet other performers, keep my skills up, learn new tricks, and connect with other performers. The fact that these arts have become more mainstream has encouraged me to produce even more amazing shows to keep up with all the new and up and coming amazing performers out there.